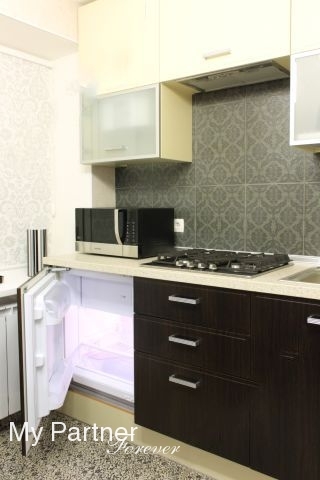 This apartment situated in a new building with safe entrance, on-door speaker phone and working elevator. This apartment has: bedroom with king size bed, TV, DVD, air conditioner, phone line, unlimited INTERNET access, workspace (table and chair), iron, ironing-board; kitchen with washing machine, microwave, refrigerator, cooker, cooking battery; bathroom with autonomous water heater ( hot water 24 hours a day); hall with on-door speakerphone; two balconies. The apartment is situated near the Glory Park. There is a big mall “Concord’ nearby, where you can find supermarket, fast-food, restaurant, various shops and cinema. The historical center is in 2 bus tops only, or 15 minutes to walk. On your arrival in Borispol airport (Kiev) our friendly driver meets and drive you to the place of stay in Poltava. In the end of your tour you will be taken back to Borispol airport. On your arrival in Borispol airport (Kiev) the interpreter of our agency meets and accompany you by bus to the place of stay in Poltava. 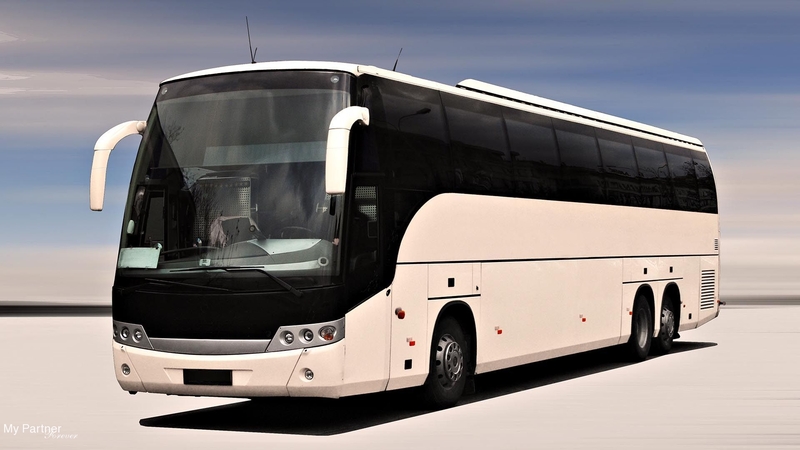 In the end of your tour you will be taken back to Borispol airport by bus for your return home. On your arrival in Kharkov airport our friendly driver meets and drive you to the place of stay in Poltava. In the end of your tour you will be taken back to Kharkov airport. 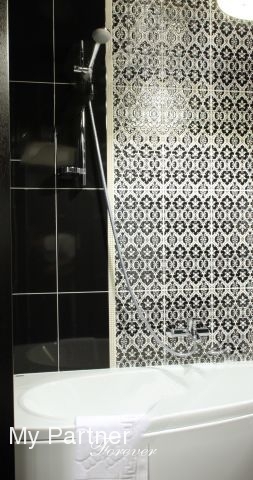 New luxury apartment in the city centre. 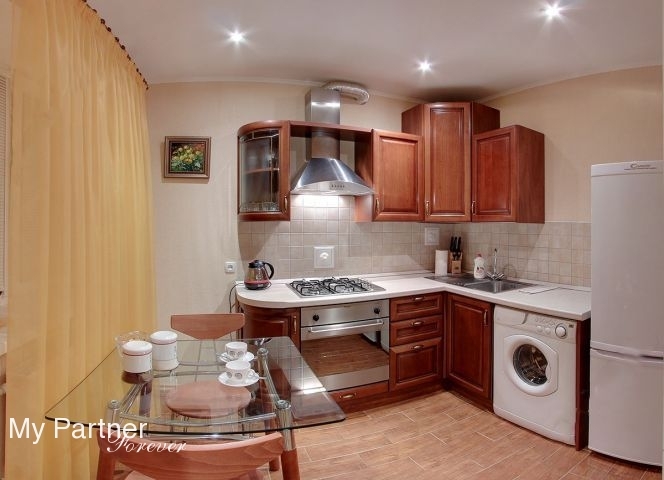 There are no analogues to this flat in Poltava: situated in the heart of Poltava, surrounded by parks, museum of history, tea cafe and pizzeria right downstairs, the central street with its walking promenade only in one minute to walk. The flat situated in quiet location. You’ll enjoy style, comfort and exclusive design: high quality bed linen, big bed with orthopedic mattress, stained-glass windows, fast speed WIFI internet, water heater, cable TV with the English channels, alive flowers, air conditioner, microwave, refrigerator, gas cooker, washing machine. 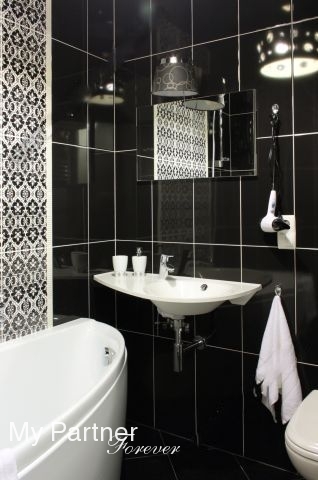 You’ll enjoy your stay and we’ll do our best to make you happy with your choice! 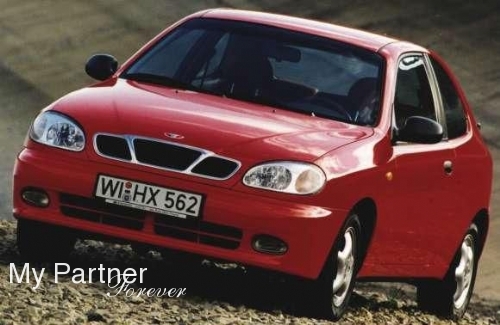 Our English speaking driver is at your disposal. He will meet you at the Boryspil airport, Kiev. 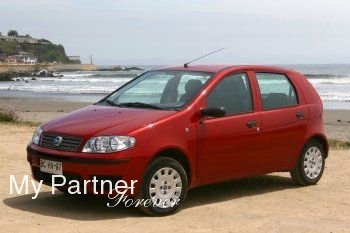 Driving good car he gets you to the exact place of your stay in Poltava. At the end of your stay our driver brings you back to the Boryspil airport. You pay for round trip. Our English speaking driver is at your disposal. He will meet you at the Kharkiv airport. 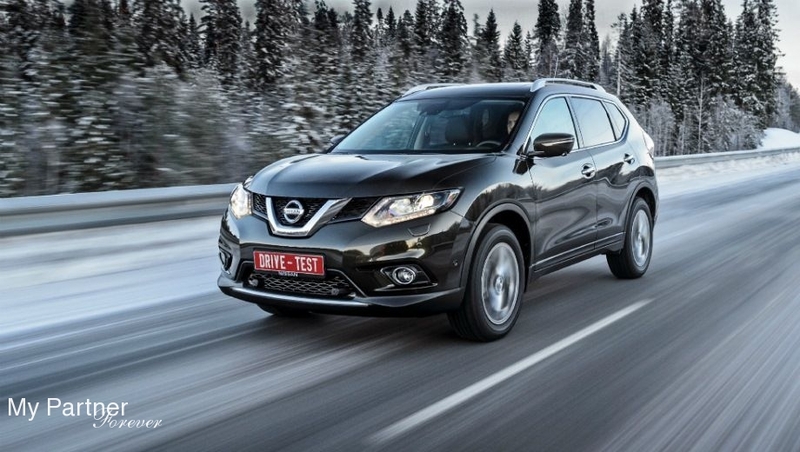 Driving good car he gets you to the exact place of your stay in Poltava. At the end of your stay our driver brings you back to the airport. You pay for round trip. 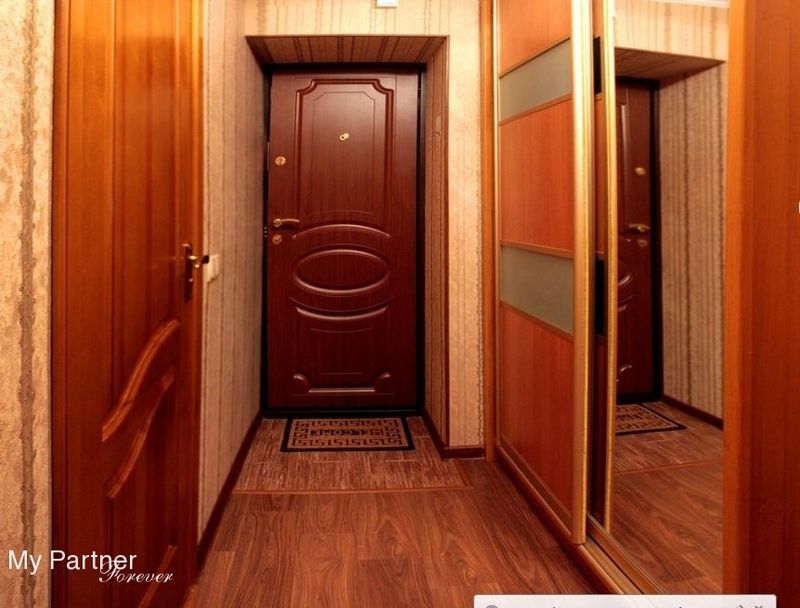 Our interpreter meets you in airport Borispol (Kiev) and accompany you to your appartment in Poltava. At the end of your trip you get back to the airport in the same way. 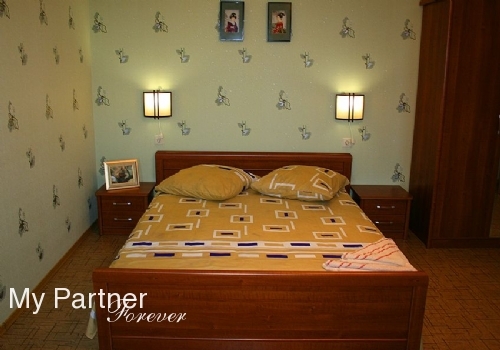 A nice and very convenient studio-apartment in the centre of Poltava. 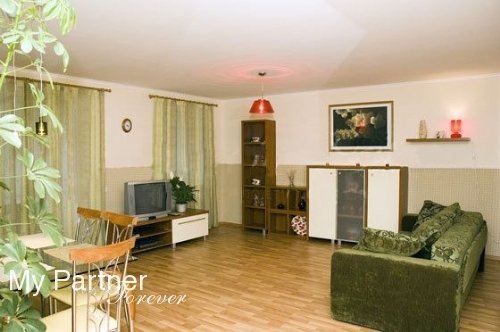 It is very cozy and has all necessary facilities: Internet(PC), air-condition, washing machine, everything for cooking, autonoumus heating.You will feel here like at sweet home. 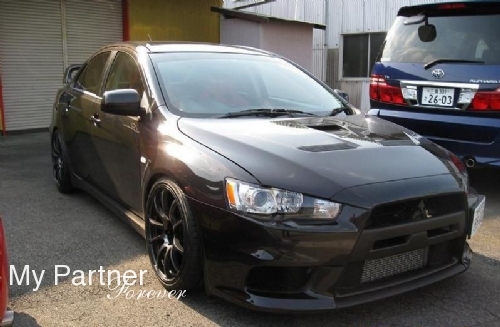 Airport: Pick-up from airport (Kiev) to the apartment and back pick up from Poltava to airport by Mitsubishi Lancer. Our reoresentative who speaks fluent English and our driver pick you up at the airport in Borispol and take you to Poltava and of course take back to the point of destination. On your arrival in Borispol airport (Kiev) the interpreter of our agency meets and accompany you to the place of stay in Poltava. In the end of your tour you will be taken back to Borispol airport for your return home. This cozy apartment is located out of center of the city but that does not make it less popular, but on contrary! Because there are no better apartments close to night club “Spider” and restraint “Dykanka”. Bus stop close to apartment can help you to get to any part of the city, and a little cozy market under windows of apartment can help you to get fresh vegetables and fruits to your table if you would like to make some experiments on the kitchen. :) By the way in the kitchen you will have a company of Charley Chaplin! Comfort: Conditioner, folding sofa, desk, Plasma TV + cable TV, washing machine, refrigerator, microwave, gas-stove, iron + ironing board and wonderful balcony. Cozy and spacious, made in the quiet style, apartment-studio. 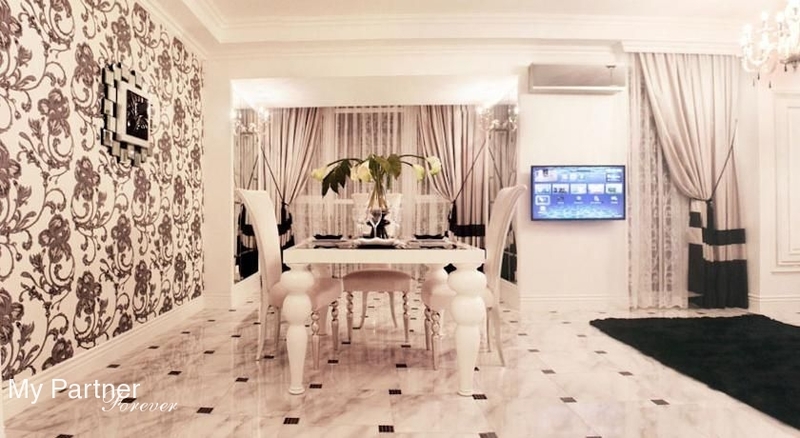 Modern design, «home» atmosphere. 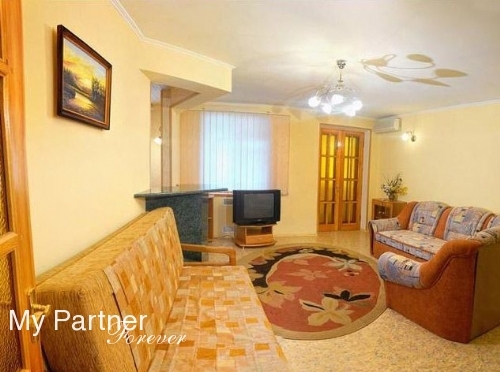 The apartment is situated in the central part of the city, windows open up Kotliarevski park. Convenient car parking. 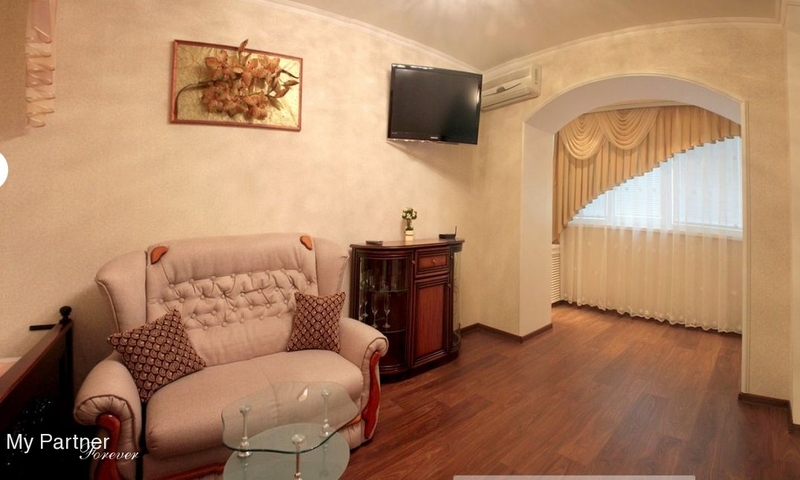 The interpreter of the agency will meet you at the airport Borispol (Kiev) and accompany you to Poltava. 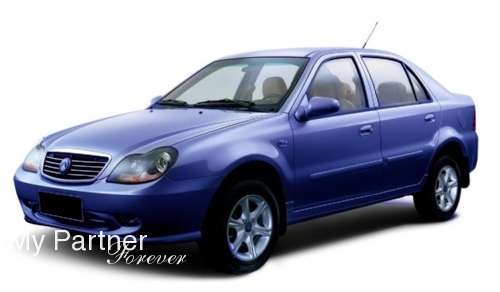 We provide a comfortable car for this service. the distance from Borispol to Poltava is 350 kilometers. And we also accompany you from Poltava to Borispol at the end of your trip. The interpreter of the agency will meet you at the airport Kharkov and accompany you to Poltava. We provide a comfortable car for this service. the distance from Kharkov to Poltava is 140 kilometers. 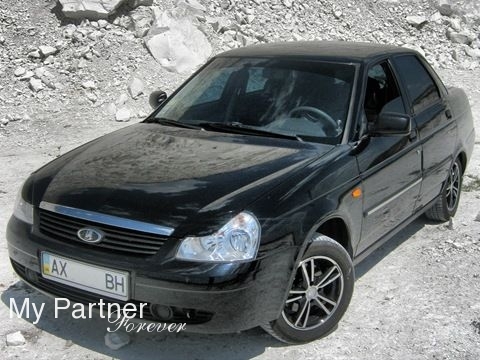 And we also accompany you from Poltava to Kharkovat the end of your trip. 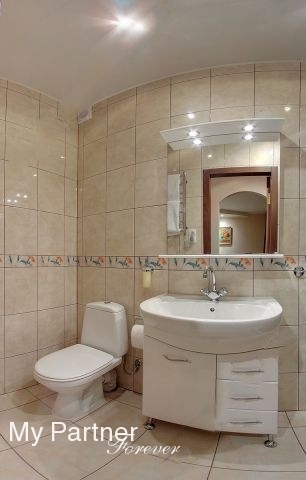 1-room apartment specially for you! Everything new – repair, furniture, household appliances. The only one thing stay old – the price! 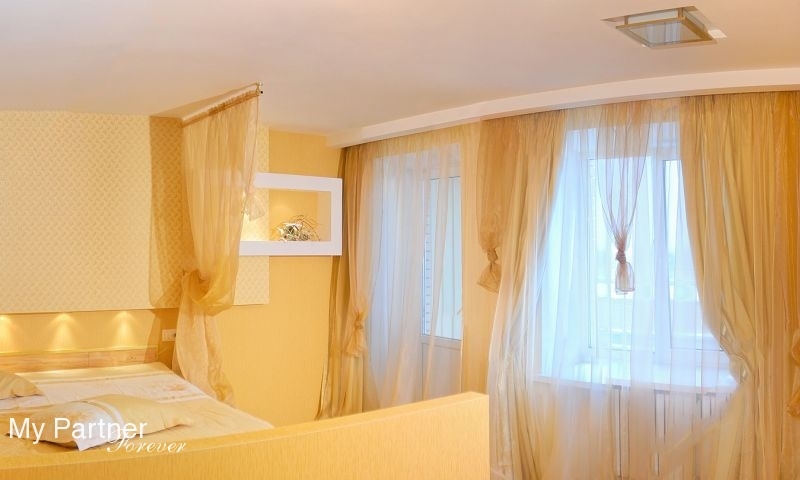 The flat if located in one of the best places in Poltava close to Sunny Part, Local Lore Museum, for 10 minutes you can observe so-called “Khreschatyk” in Poltava with famous monument to galushka, lovers lane and the White Arbor! 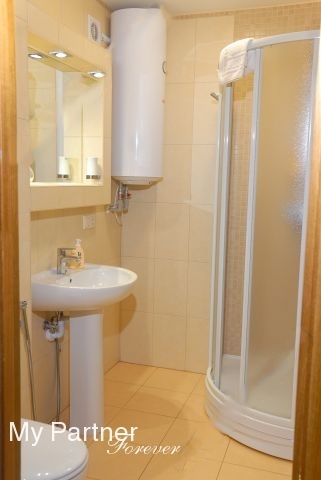 Comfort: double bed, TV + Satellite TV, DVD, Wi-Fi Internet, microwave, electrical kettle, refrigerator, geyser, bath + shower, hairdryer, iron + ironing board. 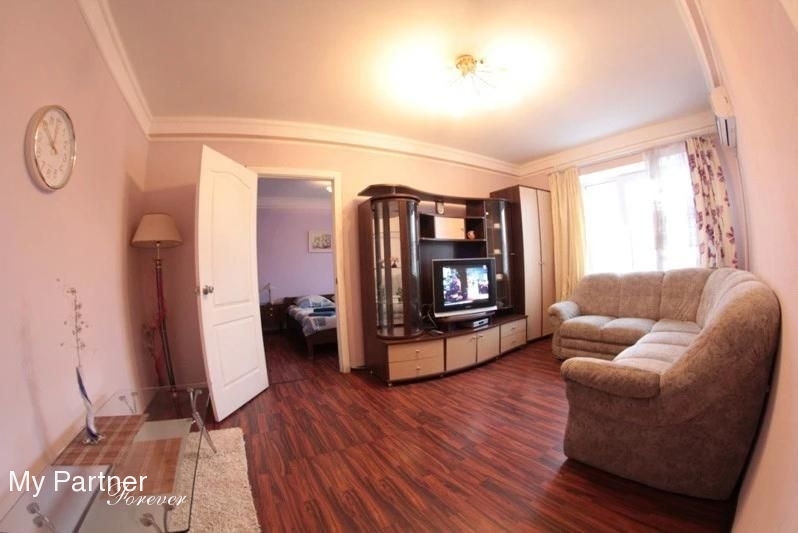 Comfortable apartment, consisting of a living room, kitchen and a bathroom, which can accommodate up to 4 people on a double bed and a pull-out sofa. It consists of Self-catering, running hot water, Satellite TV, DVD Player, air conditioner, wi-fi Internet access, local telephone, electric kettle, microwave, automatic washing machine, refrigerator, maid service once a week. 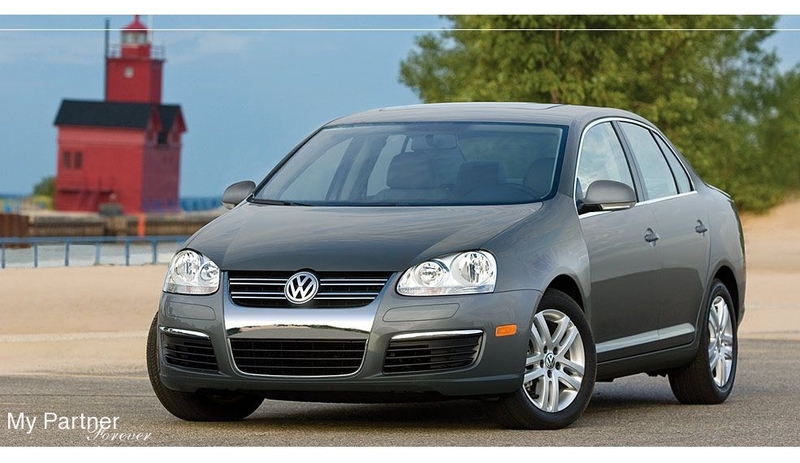 Airport pick up Kiev - Poltava Car transfer from Kiev’s Borispol airport to Poltava. 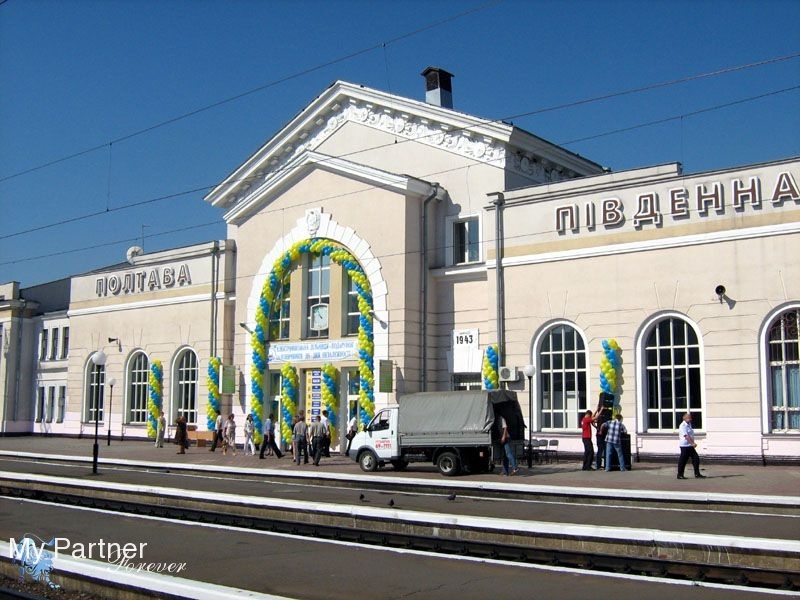 Airport drop off Poltava - Kiev Car transfer from Poltava to Kiev’s Borispol airport. 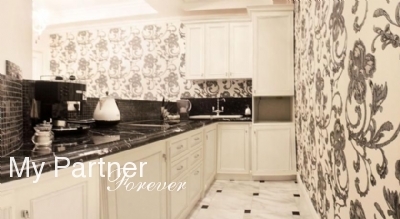 Standart apartment according to all high standards of world industry and with everything needful in it. 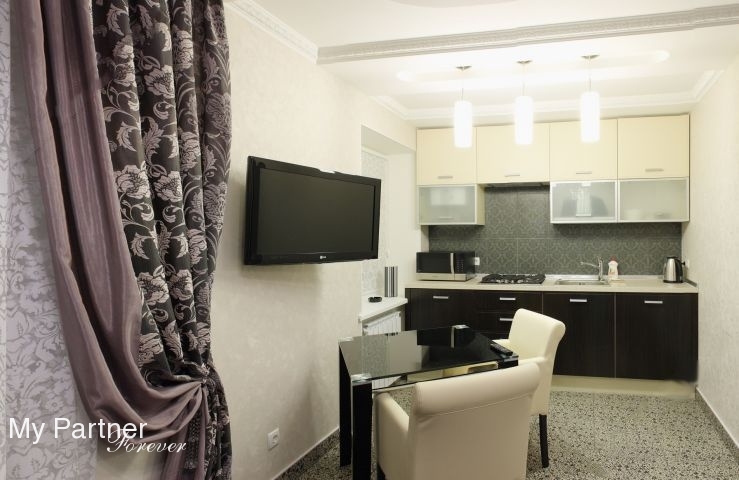 Apartments has great location in the central part of Poltava close to all entertainment and trade places – Palace of Leisure “Lystopad”, restaurant “Chestnut Alley”, SEC “Passage”, supermarket “ATB” etc; author’s design of rooms, luxury furniture and tableware. 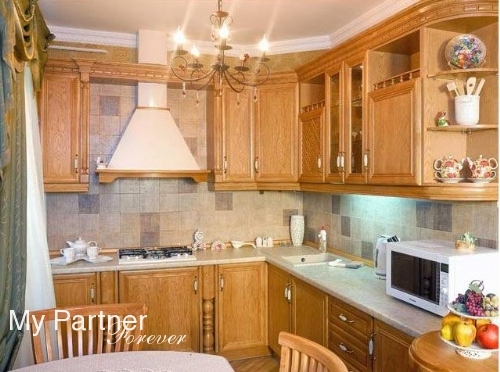 Very large, cozy and beautiful apartment on one of the main squares of Poltava! 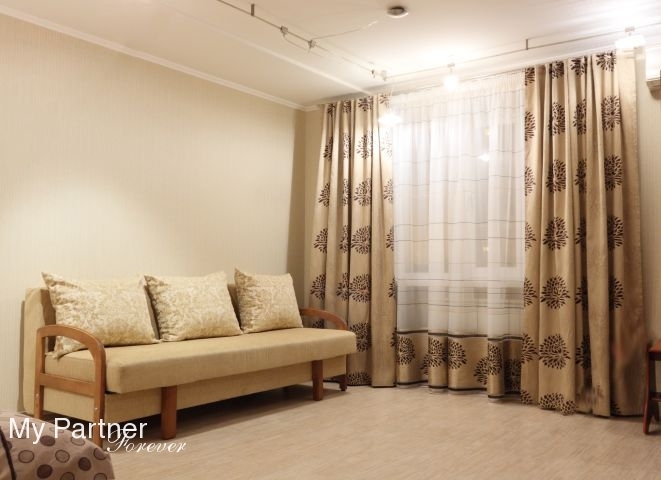 Close to Train Station “Kyivsky”, hypermarket “Kiev” and “Target”, restaurants “Mimino” and “Chesnutt Alley”, comfortable parking of your auto. Comfort: conditioner, Wi-Fi internet, boiler, refrigerator, electrical kettle, washing machine, double bed, foiled bed, Cable TV, DVD, security. 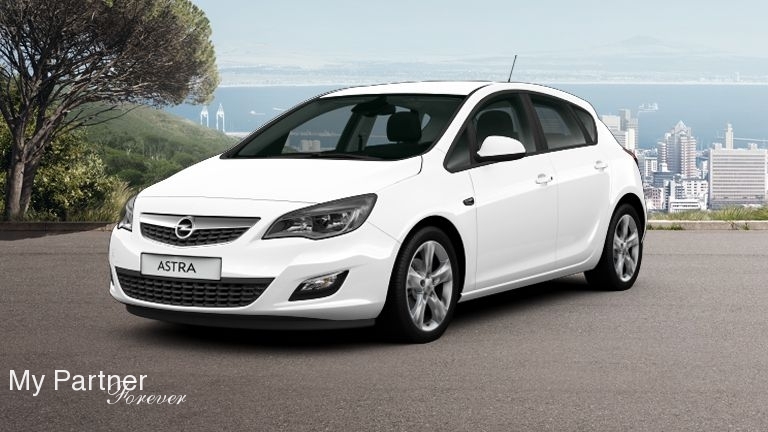 Refinement, delicacy, elegance – these words are the best for describing this Beauty! No less no more – it’s an adobe of the gods! 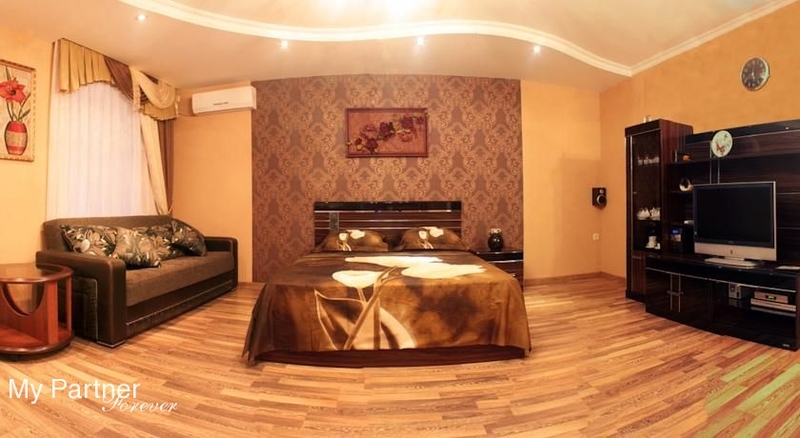 New house, author’s design, luxury furniture, incomparable view from window – and all this right in the center of Poltava! Comfort: one double bed, conditioner, LCD TV + cable TV, Wi-Fi, internet, microwave, gas-stove, electric kettle, refrigerator, autonomic heating, washing machine, iron + ironing board, bathroom, special parking place. Welcome to Olympus! 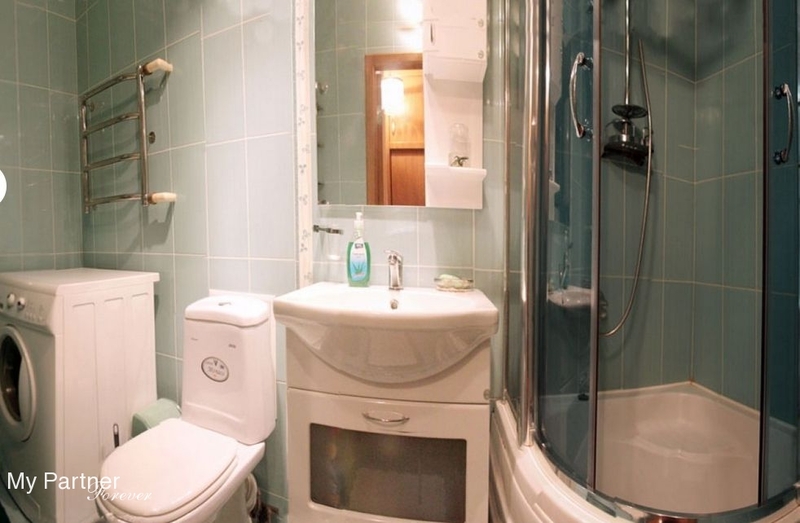 Very comfortable business class apartment in the city centre. It is very close to the shops, superarkets and banks. 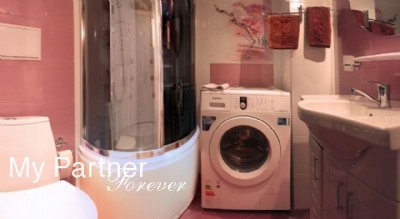 Self-catering, running hot water, Satellite TV, air conditioner, wi-fi Internet access, electric kettle, microwave, automatic washing machine, refrigerator, maid service once a week. 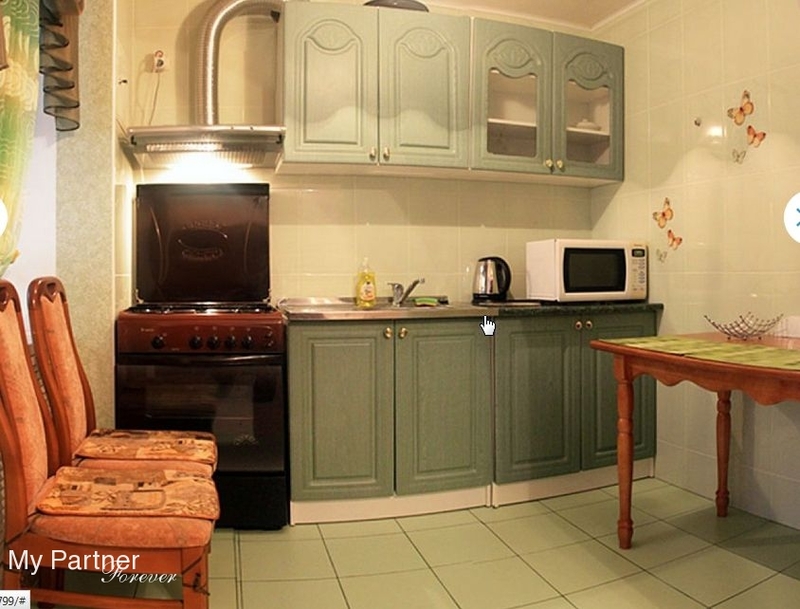 Comfortable apartment in the central part of Poltava, a living room, kitchen and a bathroom. Running hot water, Satellite TV,air conditioner, wi-fi Internet access, local telephone, electric kettle, microwave, automatic washing machine, refrigerator, maid service once a week. 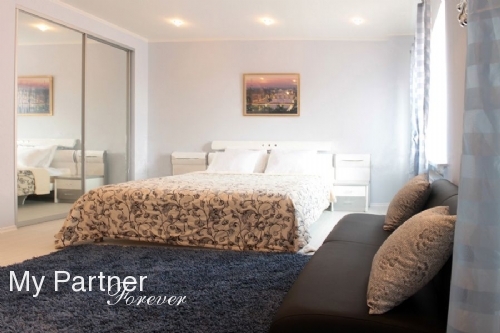 The apartment is in a restrained contemporary style, located in the heart of the city near the theater. It has a unique location. Everything is close by, as well as restaurants, shopping centers, night clubs and the architectural masterpieces of the city: temples and memos. Facilities: 1 double bed; sofa; Wi-Fi internet access; electric kettle; TV; cable TV; fridge; bath; hair dryer; ironing board; iron; balcony. Nothing is impossible! 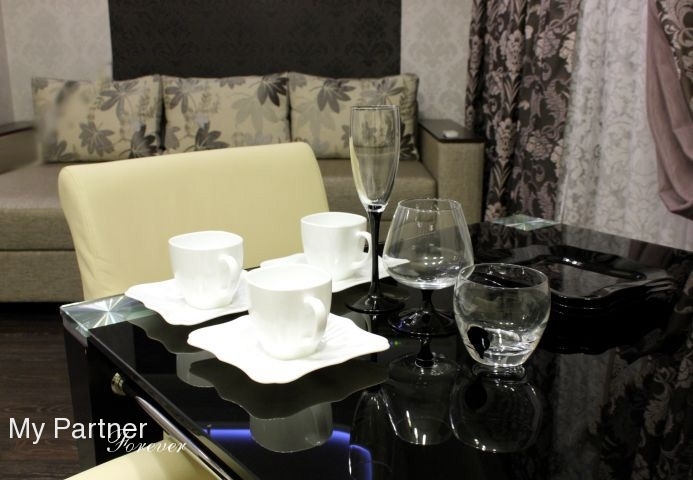 We offer you apartment which surprise you and which you can call exclusive, luxury and rich without exaggeration! 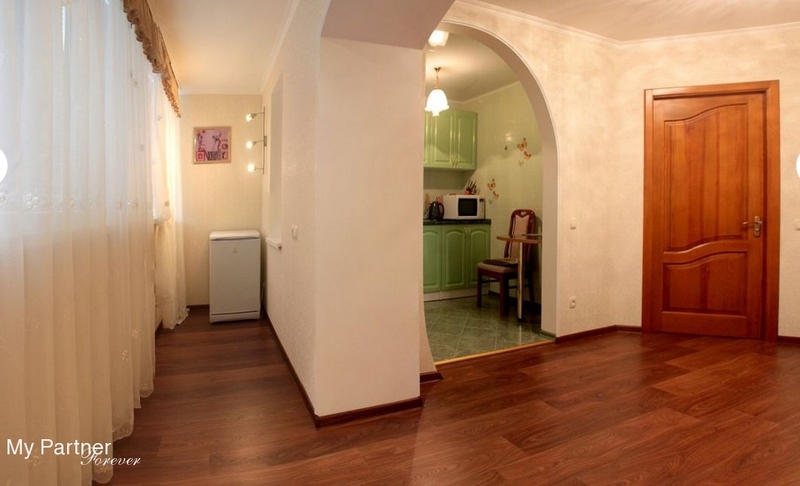 There are no analogues to this flat in Poltava! Judge for yourself – 2 conditions, flooring with adjustable temperature of heating, big angular bath, bar and even a gym! Decorations of rooms include bamboo walls, palms, wooden figurines and a lot of overseas souvenirs! Comfort: double bed, folding chair, 2 conditions, Home Theater, 2 TV, Cable + Satelite TV, DVD, Wi-Fi Internet, gym, Intercom, microwave, refrigerator, electric kettle, gas-stove, washing machine, angular bath! Welcome to this paradise! Aloha! 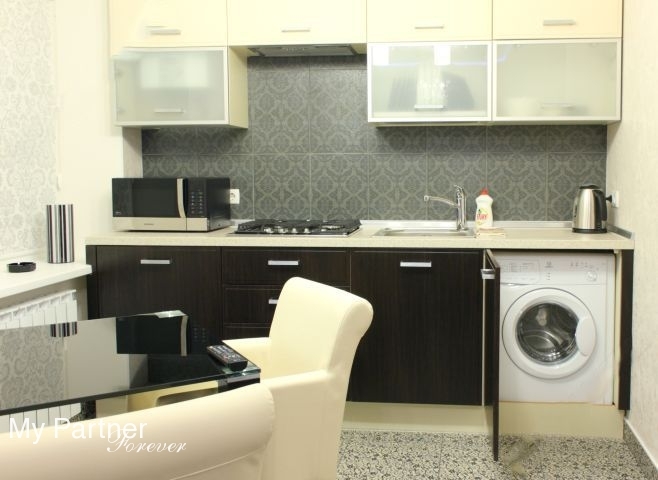 This luxury apartment is situated in the central location - agency office, shops, restaurants and cafes are all at walking distance. 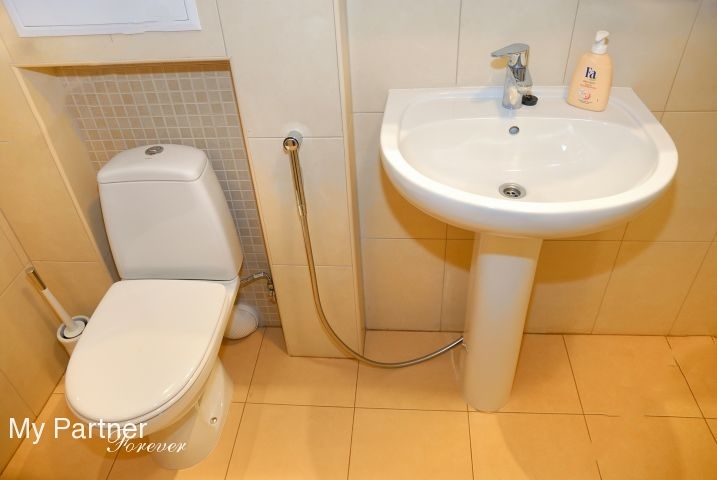 Self-catering, running hot water, Satellite TV,air conditioner, wi-fi Internet access, electric kettle, microwave, automatic washing machine, refrigerator, maid service once a week. 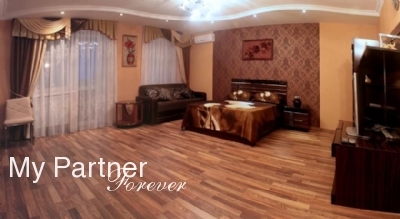 Romantic apartment in style of Italian Baroque in elite new building in center of Poltava. Comfort: 1 double bed, 1 folder sofa, chair, conditioner, LCD + Digital YV, DVD, Wi-Fi Internet, Acoustic System, refrigerator, electric kettle, iron + ironing board, gas-stove, microwave, washing machine, shower with hydromassage and sauna effect! 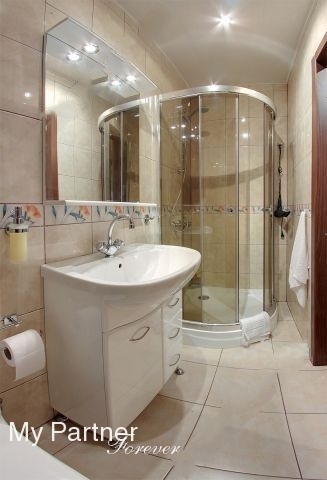 Magnificent apartment in the historical centre of the city. Author’s design and the high quality of the interior decoration, furniture from the best producers. It is made in the classical style. The interior yard of the building is a private sector with the cozy garden and convenient car parking.